Posted by escapingalcatraztri in Bb. 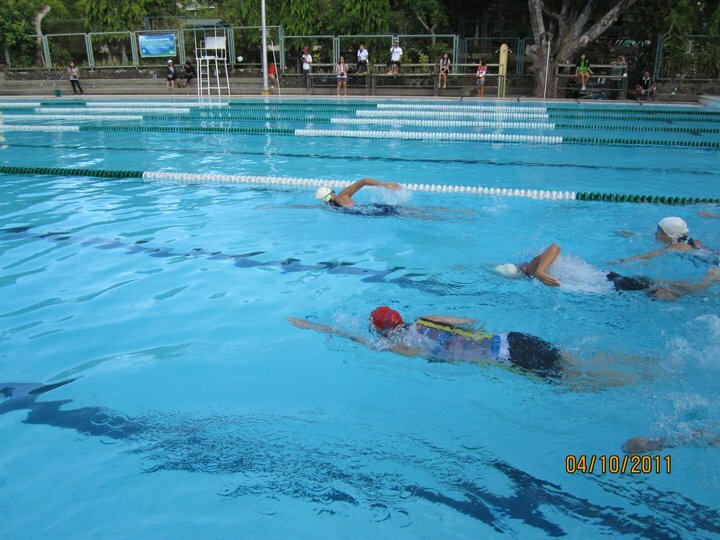 Pilipinas, Bike, Fundraising, Job, Liver transplant, Pledge, Run, Running for Job, Shamcey Supsup, Swim, Training, Triathlon. I apologize for the late post. I’ve been so busy this week that I haven’t had the chance to update. Sunday was such a successful day for a lot of people. I joined my first sprint triathlon in Alabang. It was such a great experience! It actually made me think that I may have found my niche while still building on the bike and run. My times weren’t that great. I was targetting a sub-1:20, which I got, but was secretly hoping for a sub-1:15. I wasn’t able to train much that week as I was recovering from the duathlon, but I’m glad that I didn’t get any cramps or side stitches. Had a so-so swim. I’d forgotten what it was like to swim on a 50 meter pool, so that was a bit of a struggle for me. And with only one short swim workout on my belt for the week, well, it shows in my swim split. The transition area was a bit far from the pool. It was a good thing I put my slippers near the gate so I could jog to the transition area hassle free. I hopped on my bike and was surprised that there was a guard in motorcycle leading the way. The marshals were a bit confused if I was part of the mini sprint or the super mini sprint because I was the first out of the pool for the super mini sprint. Took it easy on the first loop so I could get familiar with it. During the flats and downhills, I tried to go down to my drop bars to test my speed. A few minutes later, some guys from the super mini sprint were already passing me. Some of them were friends of mine so we were cheering each other on. I reached the transition area again and prepared for the run leg. I left my race belt at home so I had to resort to pinning my race bib on my suit. I figured I had enough time because I didn’t see any women getting into the transition area yet. The run leg was a bit of a struggle for me, as it always is. It was only 3.2k, but when I started running, I had to stop to walk in the beginning. Mark ran the leg with me, as usual. He had my dslr in tow for full coverage! HaHaHa. Bumped into Nino at the water station who was already running back to the finish line. We cheered each other on and poured water on each other. We were just really enjoying the race as it was the first for the both of us. At around the u-turn in Pagaspas, Mark and I spotted a girl who was running in our direction. Uh-oh! I was planning on walking a bit more before jogging, but we had to pick up the pace. At the back of my head, I just kept thinking, “this is yours to lose. Sayang lang effort mo. Keep pushing!” The last few meters to finish line were probably the hardest I ran in the race. She was slowly gaining ground and I had to sprint to secure my finish. She was one helluva runner! I finished with a time of 1:18:09. 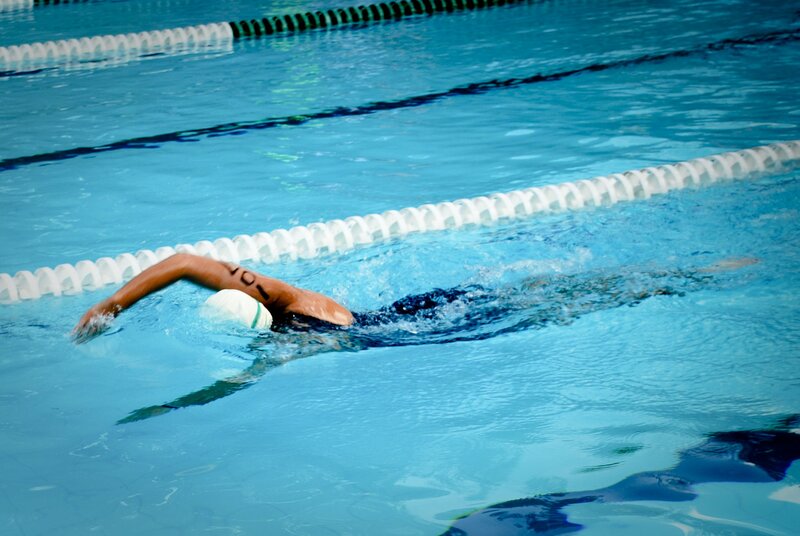 Not bad for my first triathlon…but I know I can do better. The snacks after the race was fun. I was able to chat with a lot of friends from SBR and Team Secondwind as well. All in all, a really enjoyable race. 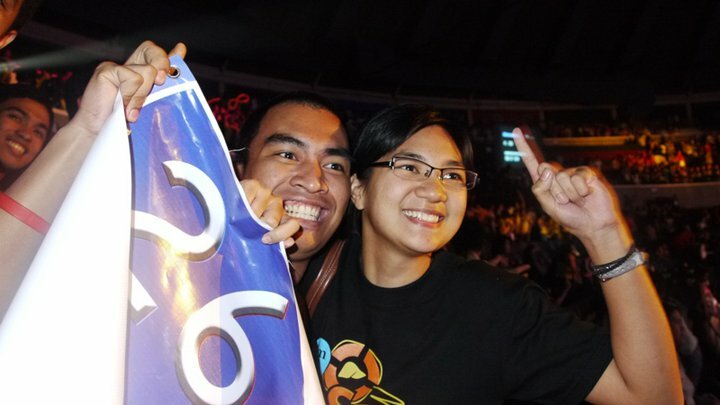 After the race, Mark and I dropped by the Days with the Lord – Agape batch. Had a quick chat with our friends who we had hardly seen and of course, said our thanks to Kuya Jess for a successful race. We went home to eat, rest and take a shower and at 5:30pm, we were on our way to Gateway. 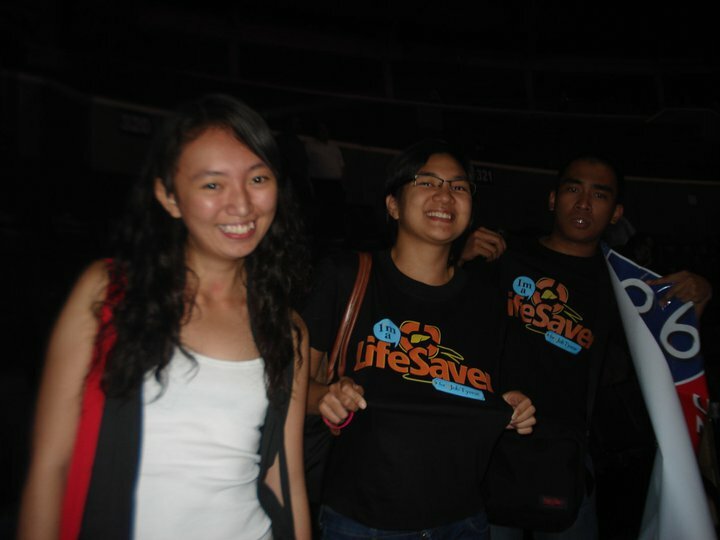 A lot of our friends from UP Arki were already there. We got our tickets for the show then made our way to the Rachel Allen Finals Night at the Sapphire Ballroom of the Gateway Suites. We got there just in time as Sweet and Thristian (Job’s parents) were just setting up. This was the first time we met. I bought some shirts and baller ID’s from them and they told us all about Job. Job and his parents are scheduled to leave for Taiwan sometime next week for his operation. They more or less have the funds for his operation already. These were collected from the shirts, baller ID’s, pledges, and various fundraisers they’ve been holding for the past few months. I was a little worried because my run is scheduled for May 15, which is AFTER his operation. But his parents assured me that the money raised from the run will go to his post-op medications. They already have the money for the operation, but the post-op is another thing. Job will need lifetime medication after his transplant, which still costs a lot. They will also need help with their day-to-day expenses in Taiwan. They were hoping to get a little help from PCSO, but were denied because they chose to have the operation done outside the Philippines. There has only been one successful pediatric liver transplant in the Philippines. However, the patient was about three years old. Job is only 10 months, so his parents decided to have it done in Taiwan where the statistics were much better. 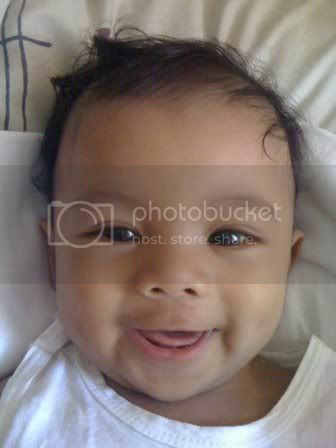 Let’s all pray for the success of Baby Job’s operation! 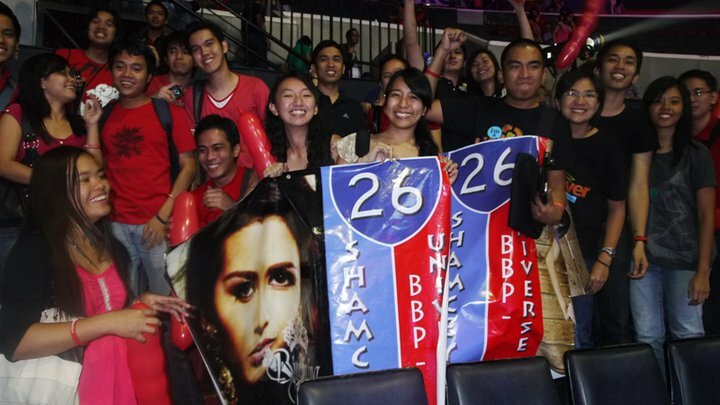 We ended the night at the Araneta Coliseum where we watched our batchmate win Bb. Pilipinas Universe. Yup, Shamcey Supsup. 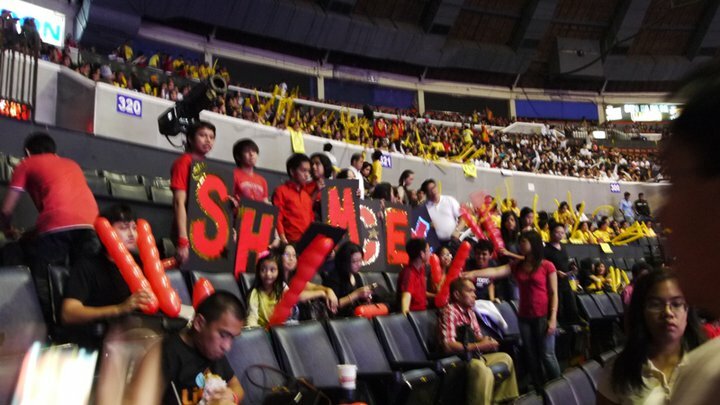 If you saw the group of people in red going wild, waving tarps and boards with her name on it, that was us. Our batch has always been very close knit and supportive of one another from the beginning, so to support Shamcey in her quest for the crown was no different. We literally jumped off our seats when they announced her as the winner. Truly the epitome of beauty and brains. We used to joke around in college and call her Bb. Pilipinas. Who knew that it would come true after a few years?! Congratulations, Shamcey! Truly well-deserved. IKAW NA. IKAW NA TALAGA!